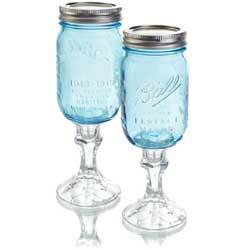 Rednek wine glasses, painted mason jar vases, and more! Avocado Green Hand-Painted Mason Jar, by Our Backyard Studios in Mill Creek, WA. Perfect as a vase, centerpiece, wedding decor, holiday decoration, and more! This is for the AVACADO GREEN jar, in the pint size. 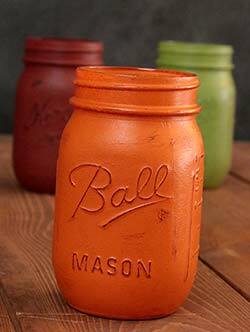 Most often made with an upcycled canning jar (typically Ball or Kerr brand), each jar receives 3+ layers of paint, is hand-distressed, and finally coated with 2 layers of wax finish for durability. Pint jars measure approx 5 inches tall x 3 inches wide. NOT food safe, but you may fill with water for a vase. Wipe clean, do NOT submerge in water. MADE TO ORDER. Cinnamon Red Hand-Painted Mason Jar, by Our Backyard Studios in Mill Creek, WA. Perfect as a vase, centerpiece, wedding decor, holiday decoration, and more! This is for the CINNAMON RED jar, in the pint size. 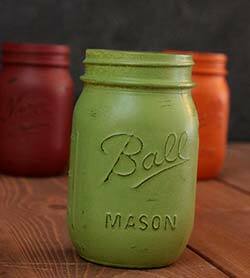 Most often made with an upcycled canning jar (typically Ball or Kerr brand), each jar receives 3+ layers of paint, is hand-distressed, and finally coated with 2 layers of wax finish for durability. Pint jars measure approx 5 inches tall x 3 inches wide. NOT food safe, but you may fill with water for a vase. Wipe clean, do NOT submerge in water. MADE TO ORDER. Pumpkin Orange Hand-Painted Mason Jar, by Our Backyard Studios in Mill Creek, WA. Perfect as a vase, centerpiece, wedding decor, holiday decoration, and more! This is for the PUMPKIN ORANGE jar, in the pint size. 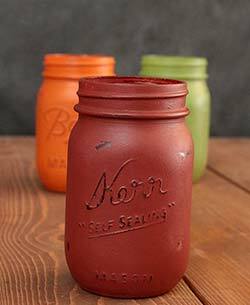 Most often made with an upcycled canning jar (typically Ball or Kerr brand), each jar receives 3+ layers of paint, is hand-distressed, and finally coated with 2 layers of wax finish for durability. Pint jars measure approx 5 inches tall x 3 inches wide. NOT food safe, but you may fill with water for a vase. Wipe clean, do NOT submerge in water. MADE TO ORDER. Candy Corn Hand-Painted Mason Jar, by Our Backyard Studios in Mill Creek, WA. Perfect as a vase, centerpiece, wedding decor, holiday decoration, and more! This is for the CANDY CORN jar, in the quart size. 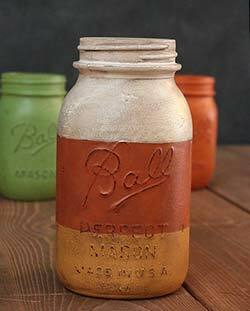 Most often made with an upcycled canning jar (typically Ball or Kerr brand), each jar receives 3+ layers of paint in 3 colors (pumpkin orange, dijon yellow, and cream), is hand-distressed and antiqued for a grubby/rustic look, and finally coated with 2 layers of wax finish for durability. Quart jars measure approx 7 inches tall x 3-5/8 inches wide. NOT food safe, but you may fill with water for a vase. Wipe clean, do NOT submerge in water. MADE TO ORDER. 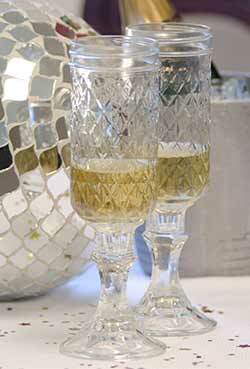 Rednek Champagne Flutes, by Carson Home Accents. Makes a fantastic gift, and is a great conversation piece! A set of TWO. Measures 9 inches tall. 12 ounce capacity each. Made in the USA. Glass with tin top. Other styles in collection also available! 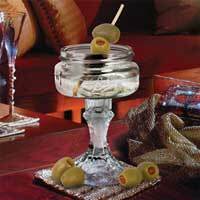 Redneck Martini Glass, by Carson Home Accents. Makes a fantastic gift, and is a great conversation piece! Drink your moonshine in style, with this stemmed glass canning jar. Measures 3.5 x 3.5 x 6 inches. Glass with tin top. Made in the USA. Other styles in collection also available! 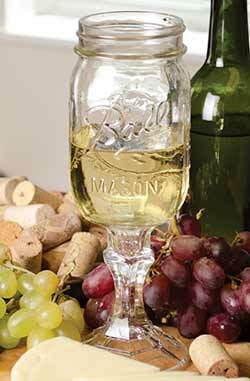 Rednek Vintage Wine Glass, by Carson Home Accents. Makes a fantastic gift, and is a great conversation piece! Drink your moonshine in style, with this stemmed glass canning jar. This is for the limited edition anniversary addition, using an aqua blue glass jar. Measures 9.5 x 3.5 x 3.5 inches. 16 ounce capacity. Made in the USA. Glass with tin top. Other styles in collection also available! Redneck Wine Glass, by Carson Home Accents. Makes a fantastic gift, and is a great conversation piece! Drink your moonshine in style, with this stemmed glass canning jar. Measures 9.5 x 3.5 x 3.5 inches. 16 ounce capacity. Made in the USA. Glass with tin top. Other styles in collection also available!